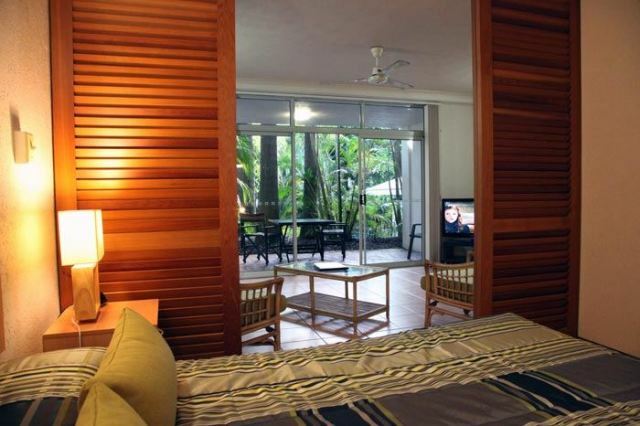 PALM VILLAS in Port Douglas offer delightful self contained one bedroom apartments perfect for couples or lone travellers. All apartments have just been refurbished with new fridges/freezers, flat ceramic cook tops, stainless steel range hoods, kitchen sink taps, stainless steel ceiling fans, blinds, indoor/outdoor table furniture, sofa beds and toilets. All kitchens have new cutlery, plates, pots and pans as well as tea pots and cups. 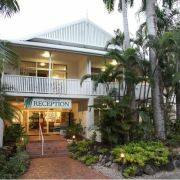 Located in the centre of Port Douglas Village, Palm Villa's twenty-one units are within easy walking distance to the beach, restaurants, shops and the marina. This Queenslander style building peeps through tropical palms. Upon entering the building, a large indoor atrium of towering tropical plants sets the scene for the cool, relaxing atmosphere. 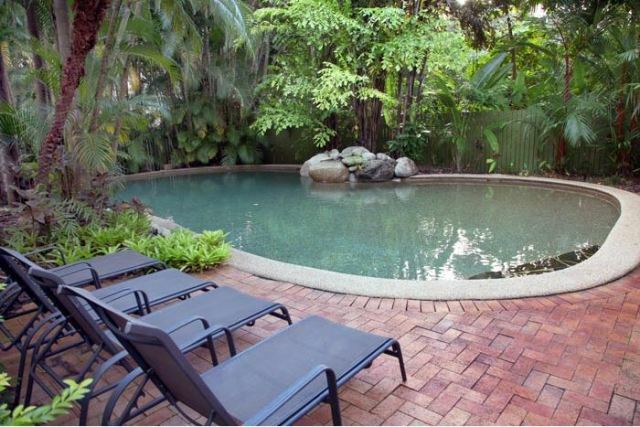 There is a large free-form swimming pool at the front of the building, hidden by lush tropical palms, and a BBQ area adjoins. The spacious one bedroom, self-contained units have terracotta tiled floors, with attractive colourful furnishings and cedar Venetian doors that separate the lounge/dining area. The kitchen allows you to become self sufficient if you want to have a restful night away from the restaurant bustle. You can choose to dine on the wide balcony or patio area, and enjoy a tranquil evening in Port. Extremely well set up accommodation and a host that would be hard to beat. 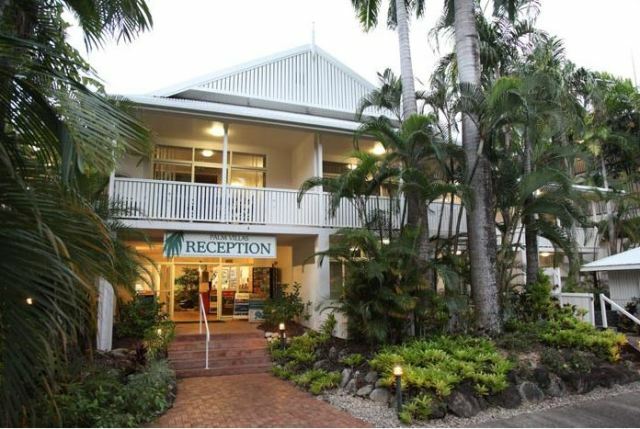 Highly recommended for a relaxing stay in Port Douglas. Jakob is a very friendly and helpful owner/manager. 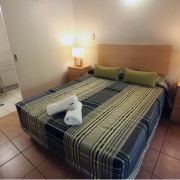 The room was very comfortable and the bed very good. 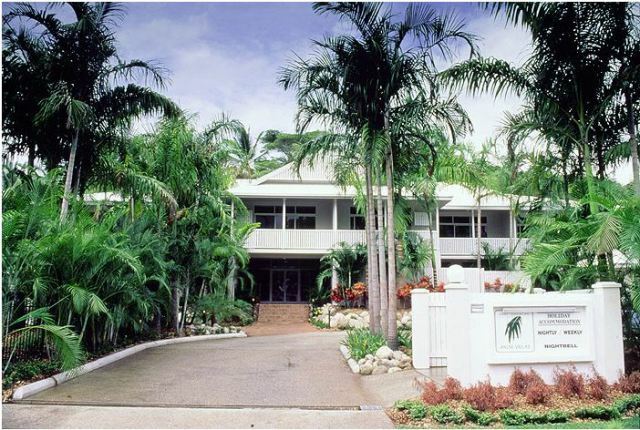 It is located close to the centre of Port Douglas which is ideal. Great hotel and really good location. Very clean and neat. I would stay again. This was a beautiful spot in the centre of Pt. Douglas. 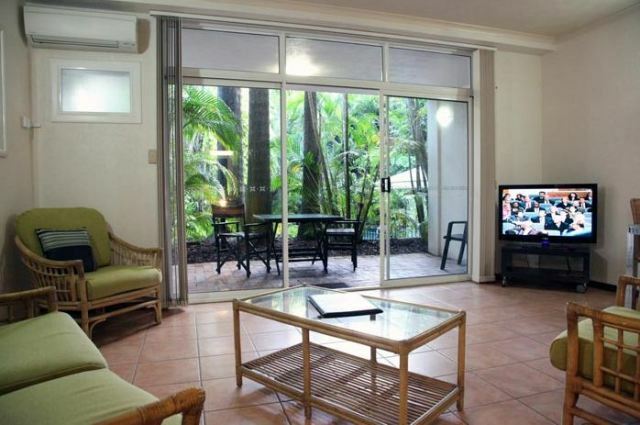 In a tree lined street within walking distance to everything you need. Very peaceful and quiet. Would recommend. Jacob was wonderful and very helpful. Great to be so close to all the facilities in Port Douglas. Jacob was wonderful and very helpful. Great location, close to main street. Very helpful Manager. Room a bit smaller than expected. Very clean and comfortable. As this was my first trip To Far North Queensland, I found that using Travstar more than covered all my needs in finding accommodation and tours for the FNQ area. I would highly recommend Travstar to anyone looking to travel to FNQ. For the money we paid it was great accommodation - so close to town but quiet! All over a great place to stay. All over a great place to stay.Only one complaint, please replace old and tired crockery, cutlery and utensils. Other than that we were extremely happy and no screaming kids. Fantastic. Thank you to Palm Villas and Travstar. Had a great time. Thank you, no problems what so ever which allowed us to relax and enjoy our holiday with no worries at all. Thank you to Palm Villas and Travstar. Accommodation was perfect for us,central to everything we walked everywhere. 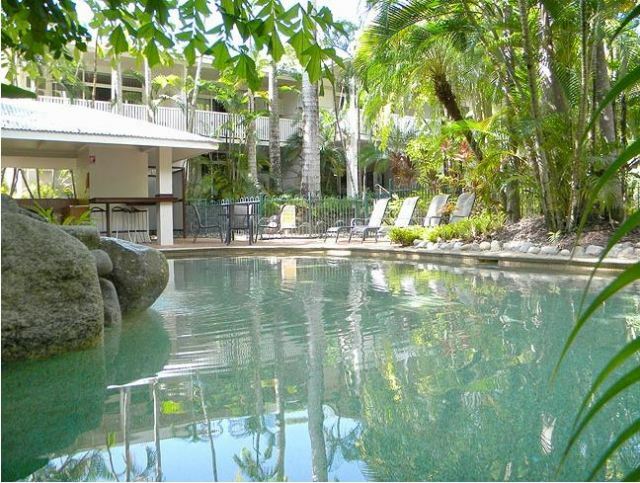 We had a really lovely stay in Port Douglas and were able to book tours and get info at Palm Villas, which is in great proximity to all amenities. We enjoyed our recent stay at Palm Villas and plan on returning for a longer period next year. 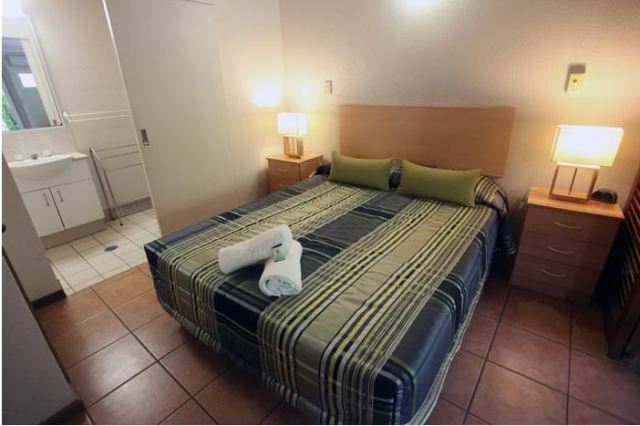 The room was clean, quiet and private, with adequate facilities. PV is handy to the beach and main street restaurants. Jacob is thoroughly obliging and helpful. One little point: the pool is a little too sheltered from the sun; some tree pruning is needed. Palm Villas overall good, but bed was quite uncomfortable (hard) also pillows also uncomfortable staying twelve nights was hard to get good nights sleep. Clean and tidy. Had a relaxing visit and complex was very quite this time of the year. 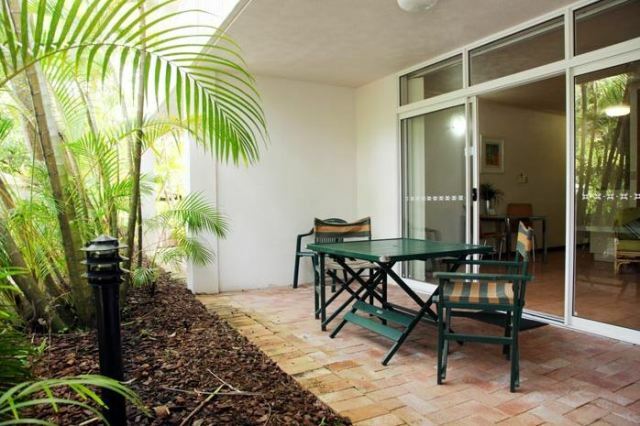 Very conveniently situated within easy walking distance of restaurants, shops, beach. The concierge was very helpful, and the facilities adequate but not luxurious. 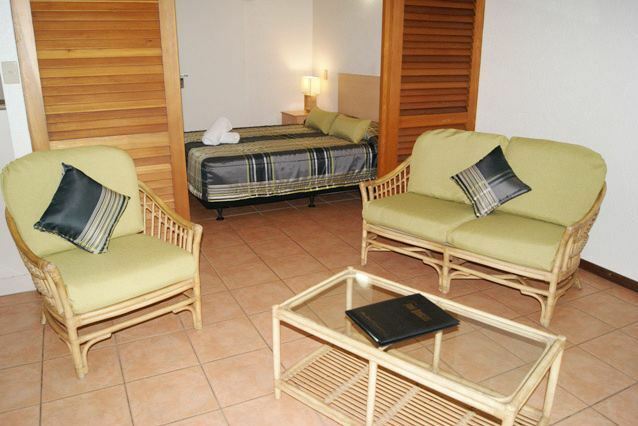 The accommodation at Palm Villas was excellent, the new Manager great and the price very reasonable. Thank you we had a great time. Close to the town centre, marina and beaches this was excellent value for money; clean and well-equipped appartment with friendly and helpful manager. Port Douglas remains one of my favourite places in the whole world. SUCH a friendly manager & so helpful (a big thanks!) The pool could have been cleaned a bit more (though workmen on site near pool meant we were only users of it during our stay), but otherwise facilities were great (comfortable & clean) & good location, so quiet but convenient. Just wanted to say thanks for your help with bookings at the Southers Cross & Palm Villas both places were very nice & helpful & an easy walk to main shops & food places.We had a wonderful time & only had 1 day of heavy rain but that was ok because its soooo warm anyway. I really enjoyed staying at Palm Villas. The staff were helpful and friendly and the facilities were excellent. Jacob is a great bloke and this little property is perfect for our needs. Kim at Travstar.com did a brilliant job organising our holiday. Enjoyed the fact that it was a smaller hotel and the manager was very helpful. 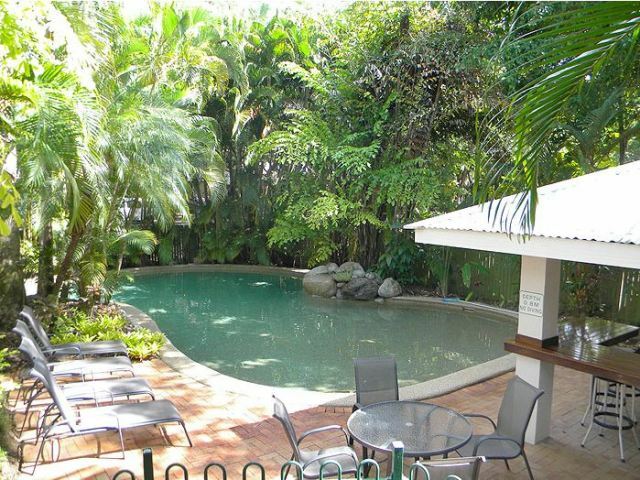 Palm Villas is located in close walking distance to 4 mile beach and the main shopping/dining mall of Port Douglas. One does definetely not need a rental car to explore the beautiful heart of the town and the seaside. The appartments are nicely furnished and clean, the kitchen is well equipped (an oven is missing, but the microwave does most of that job as well) and the landlord Jacob gives you good advice and free of charge support for any planned guided tour to the reef or the rainforest. Furthermore, the appartment has air condition and 2 big ceiling ventilators, which is really nice for people like me, who do not like to run the AC all day and night. Overall Palm Villas is value for money and I really enjoyed my stay.